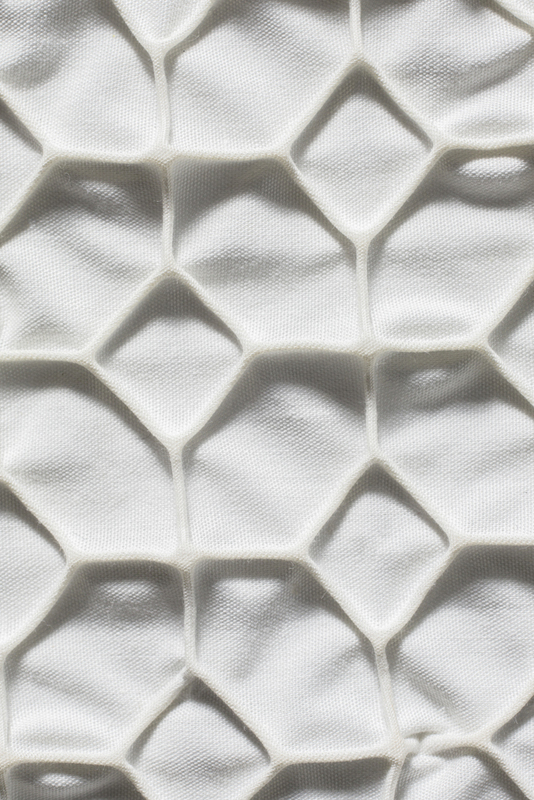 Different cellulose-based materials have been successfully 3D printed during the DWOC project. A 3D-printing test platform has been developed to systematically test and improve extruder prototypes and find optimal printing parameters. Both cellulose derivatives (e.g. cellulose acetate) and nanocellulose have been tested. 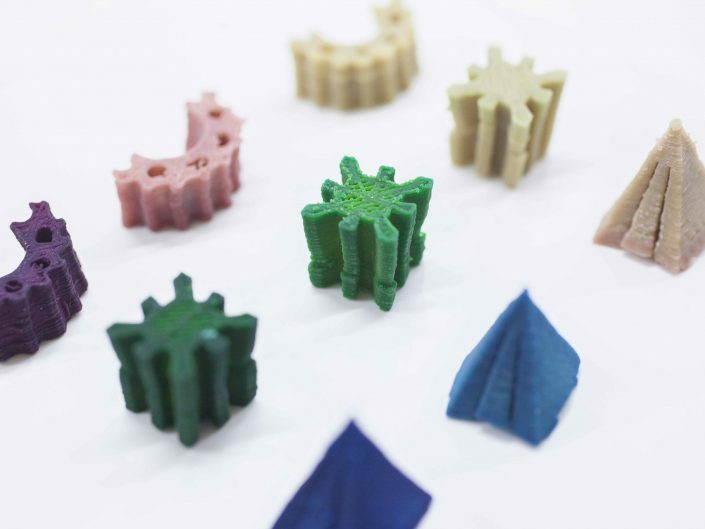 3D-printed objects can be designed to have a different characteristics. By using different slicing parameters (e.g. infill patterns and layer thicknesses), objects can be modified to suit different applications. 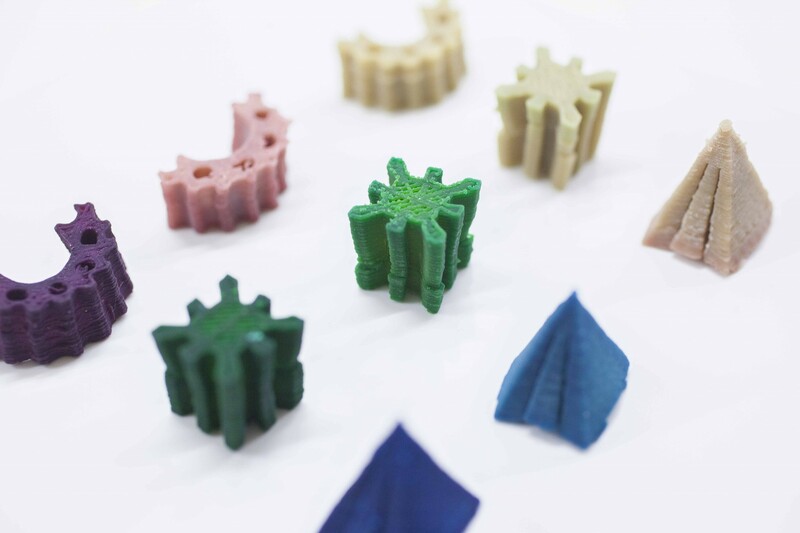 Different materials can be incorporated into a single model by using multiple extruders. 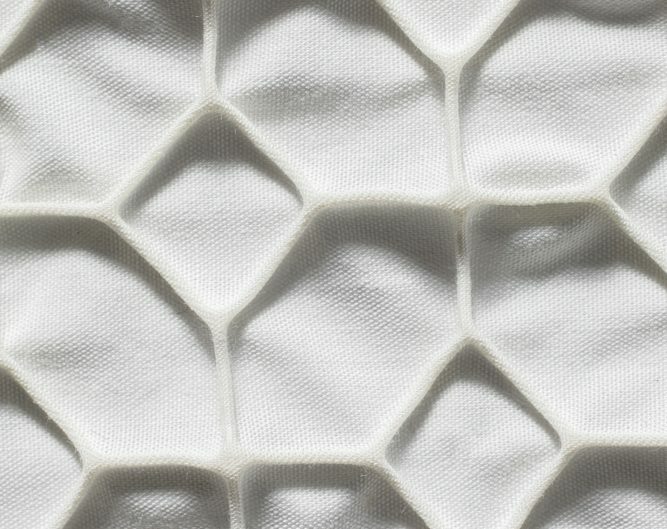 Furthermore, cellulose-based materials can be printed on top of other materials, such as fabric. 3D-printing can be used to create complex 3-dimensional objects. Properties can be tailor-made to fit the specific applications. Different structures (e.g. composites) can also be prototyped using 3D-printing. One promising area is prosthetics. Strong and biocompatible cellulose-based prosthetics can be printed to fit each individual perfectly. Optimizing the printing process to achieve both good control of the geometry and high mechanical properties would broaden the application range to e.g. packaging and architecture.